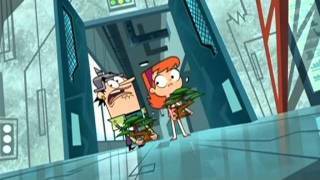 Sidekick: Vana and Trevor. . Wallpaper and background images in the Cartoon Network's Sidekick club tagged: cartoon network cartoons nickelodeon photo sidekick vana glama trevor troublemeyer. This Cartoon Network's Sidekick photo might contain 街道, 城市风貌, 城市环境, 城市场景, 城市设置, 赤褐色砂石, 褐砂石, 上流社会, 商务区, 市中心, 商业区, and 商务区市中心.